“Time is money”, and we know that your time is valuable and important. We will give you the best translation service, in no time and without extra rush fees. We always attract talented and distinguished experts in the translation industry. Be part of a professional team and enjoy the professional, literary and material benefits provided by the company to its employees by working as an interpreter from the company's headquarters in Nasr City or on the basis of self-employment. Contact us now Put a fixed foot in the way of professionalism. Throughout over 15 years operating in translation market in Egypt, Arab region and internationally, some of our clients appreciate our services, and in expression to their satisfaction, they provide testimonials which we show part of them on the left. an international management consulting firm originally headquartered in Boston, Massachusetts, United States, and formally incorporated by that name in 1909 by Arthur Dehon Little, an MIT chemist who had discovered acetate. Orange Egypt, formerly Mobinil, is the first mobile phone operator in Egypt, founded on March 4, 1998. Orange provides voice and data exchange services, as well as 4G, 3G, ADSL and Broadband Internet. El Sewedy Cement. Cement & Concrete, Gypsum, Brick & Equipment. Sakson consists of two operating companies: Sakson Drilling and Oil Services and Sakson Egypt Petroleum Services. These two subsidiaries provide a customized, integrated service that creates value for its clients, project stakeholders and shareholders. Alpha Dental long and successful business journey since 1999 was the key factor that leaded Alpha Group board of directors to respond to the market needs and the local and international trends. ARCON provides specialized support in modern technology to the FAA, DoD, and other government agencies, as well as to business. ISO 9001:2015 sets out the criteria for a quality management system. It can be used by any organization, large or small, regardless of its field of activity. ISO Certified Translation Center with ISO 17100 Translation Quality Assurance and ISO 9001 Quality Management System Certification and a member of the American Translators Association. Q: What are the language we translate? A: We basically translate from English into Arabic and vice versa, in addition we can translate into Arabic and English from any other language (40 languages). In addition, we translate European language, Asian and African Languages to Arabic and English. Q: What are the certification, union, professional references? Q: Are we certified to embassies in Egypt and abroad? A: We are certified translation agency providing legal certified translation to foreign embassies in Egypt. We are certified to USA, Canada embassies, in addition we are certified to translate into English and Arabic to embassies of France, Germany, Italy, Spain, Turkey, and all embassies and consulates that accept documents in Arabic and English in Egypt. Q: What are the types of services we can provide? A: We are providing: - Certified translation for certificates and legal documents. - Website translation. - Software localization. - Commercial and legal translation to contracts and commercial documents. - Financial translation for banking related documents. - Technical translation for user, maintenance, operation manuals. Q: What are our work capacity and number of translators? A: We have the capacity to handle above 100 pages a day. We have variable number ranges from 30-45 in-house and freelance translator working around the clock. Q: What are the approximate deadline for one – one hundred pages? A: We handle rush assignments without extra charges and we can adapt to customer's needs to handle very urgent jobs instantly. Please check our Quick delivery policy. A: Our rate is very reasonable and we charge upon the type of service provided and the volume of work. We make discounts for big projects and any translation assignments that exceed 50 -100 pages. Request quotation from this website. Q: What are the steps to have a certified document? First: the original Arabic source should be attested from the Ministry of Foreign Affairs (Nehro (Heliopolis) Torjman (Torjman mall), Ahmad Orabi (Mohandsein), then translated by our office to be submitted to embassies or used directly abroad. A part of Transtec Event, celebrating on awarding ISO Certificates. 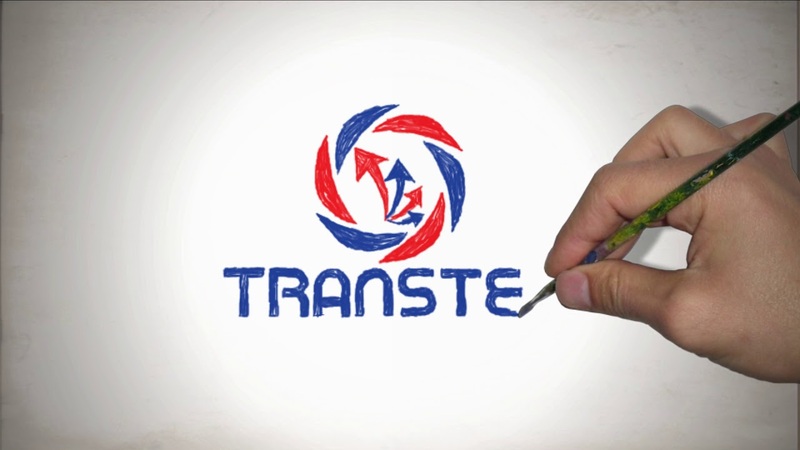 It includes a brief introduction about Transtec Company from the beginning up to awarding two ISO certifications: ISO 17100 (Translation Industry Services) and ISO 9001 (Quality Management System).